The Los Angeles Kings have assigned forward Gabriel Vilardi to the Ontario Reign (AHL) on a conditioning assignment, Kings Vice President and General Manager Rob Blake announced on November 27. The 19-year-old Vilardi (born August 16, 1999) is a 6-3, 201-pound native of Kingston, Ontario. The forward was drafted by the Kings in the first-round (11th overall) in the 2017 NHL Draft. 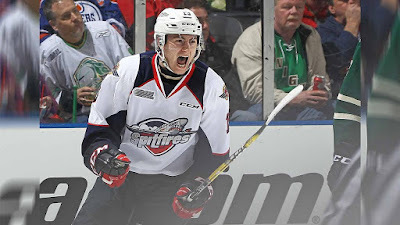 His OHL career thus far has been highlighted by helping Windsor win the 2017 Memorial Cup on home ice, leading his team in assists and ranking second on the Spitfires in points (0-7=7).